NEW ZEALAND: A well-deserved break on the cards, India captain Virat Kohli will be aiming to seal the five-match series when his team square off against a confused New Zealand in the third ODI here on Monday. The Indian captain has been given a break as part of BCCI's workload management programme and he would ensure that he finishes his assignment Down Under on a high after the maiden Test and ODI victories in Australia. An unassailable 3-0 lead would be a fitting revenge to India's abject 0-4 humiliation during the 2014 limited overs series. 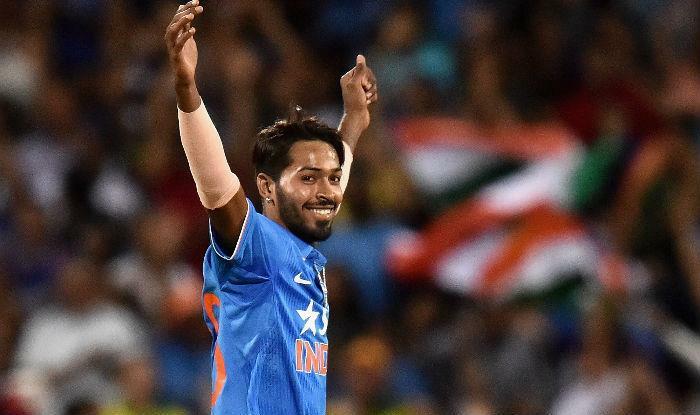 One of the primary focus of Monday's encounter could be inclusion of Indian cricket's latest enfant terrible Hardik Pandya, who is coming back from provisional suspension for his loose talk on a TV chat show. Pandya's presence lends solidity and balance to the side and the skipper has time and again admitted it. Otherwise Indian team doesn't require much tinkering. New Zealand, on the other hand, have looked clueless against India's wrist-spin duo of Kuldeep Yadav and Yuzvendra Chahal, who accounted for 12 of the 20 wickets in the last two ODIs. While the batting looked in place, there is a slight concern about the visitors fifth bowler's slot where Pandya might fit in. Once Kohli takes a break following the third ODI, Dinesh Karthik might get a place to boost the middle-order in the skipper's absence. For Black Caps, captain Kane Williamson, who had top-scored in the first ODI, looked good during his short stay in the second ODI, while all-rounder Doug Bracewell tried to take the game to the wires with a 46-ball 57 but none of the other batters could convert their starts. "There's two games in a row now where we've not had control at any stage, but we need to take small steps,'' Williamson said. "Some of the dismissals were a result of us going too hard maybe. If you have wickets in hand, you never know. But we didn't have wickets in hand. Those are the lessons that we need to take ahead."